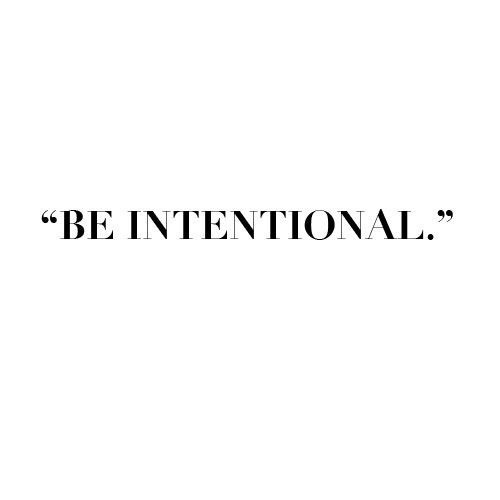 “Be intentional”, I couldn’t find who said this but it is so simple and yet so big. Say it with me “Be intentional”. The dictionary defines intentional as done with purpose; deliberate. Do you do everything in your life with a purpose or deliberately? How different would you live your day to day if you lived with intent? 2017 for me has been the year of living with intent. Not just shuffling through life, I want to be present, I want to be the CEO of my life. Family is everything to me. I can go on and on about how much my family means to be. In today’s busy world sometimes you forget to check in. When was the last time you checked in with your parents? Sometimes we get so busy in our lives that we forgot about the people who gave it to us. What about your siblings, cousin’s, aunts and uncles? Be intentional about the relationships you want to have with them. With your family, the small things are what count the most. Put birthdays on your google calendar and send thinking of you cards. Your family will love it. How have you been intentional with your family? I have been with my current company for 5 years. The first 2 years were so exciting. I won a few awards then all of a sudden I just got lost in the shuffle of life. When I stopped being focused with my work mistakes happened, and I was so unhappy. I had no direction, just lost floating out there. Once I re focused and decided to be intentional with my work I could ask myself, What is it I want from this career? What am I going to do to get there? Can I find a mentor? These were all new questions that I honestly never thought about. Now that I am being intentional at work, the quality of my work has improved tremendously because I now have a path. How have you been intentional at work? We have all been there, date after date with loser after loser. Are you dating but not finding what you want? Remember no one is perfect. But if you don’t date with a purpose how are you going to find that perfect partner for you? Think about it, if I date with intent on finding someone then you will. Sit back and think about what you bring to the relationship. Now think about what you need from a partner. Your dating life will be completely different. Once I did this I had a new level of confidence within me. How have you been intentional in your dating life? Let me know how you plan on being intentional in your life! Thank you so much! I really appreciate you taking the time to read my post!